They were marking the centenary of the 103-day battle of Passchendaele, in which more than half a million Allied and German troops were killed or wounded. The brutal clash, which became a symbol of the horrors of the war, began on July 31, 1917 when Britain launched an assault against German forces who were holding the plateau overlooking the Belgium city of Ypres. Hit by heavy rain, the campaign transformed the Flanders lowlands into a mud-churned swamp rendering tanks immobile and virtually paralysing the infantry. 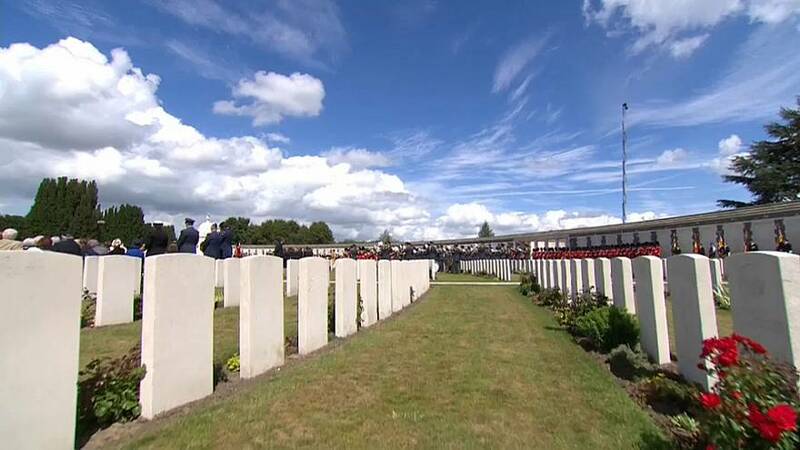 Some 4,000 relatives of the soldiers who fought there gathered at the Tyne Cot Cemetery near Ypres, where nearly 12,000 Commonwealth dead are buried. They were joined by Britain’s Prince Charles, Prince William, his wife Kate, Prime Minister Theresa May, and Belgian King and Queen Philippe and Mathilde.